We spend all year advocating for places that matter. During Preservation Month, we flex our preservationist muscles and set aside time to celebrate and explore historic places in innovative ways. This May, the National Trust needs your help. Complete the items on the action list below, and let us know when you do by tagging #ThisPlaceMatters. We can’t wait to see what you accomplish! Day 2. Read the latest issue of Preservation magazine. Day 3. Share your photos of historic places. Don’t forget to use #ThisPlaceMatters! Day 4. Visit a historic site or house museum near you. Day 5. Take your This Place Matters swag out on the town. You can print your own using our digital toolkit, or you can buy gear in our online store. Day 6. Shop your local Main Street, and support preservation while you shop. Day 7. Read about the future of preservation and share what you think with other preservationists on Forum Connect. Day 9. Get inspired by people who save places in new and innovative ways. Day 10. Meet your dream home in our weekly Preservation Personals. Day 11. Contact your elected officials to discuss preservation issues where you live. And don’t forget to register to vote! Local, state, and national elections can have a huge effect on preservation. Day 12. Book a room at a Historic Hotel of America. Day 13. Start a preservationist book club. We have some book suggestions to get you started. Day 14. Subscribe to our channel on Spotify and download our #ThisPlaceMatters playlist. Day 15. Help us tell the full American story. Learn how others are addressing issues of diversity and inclusion in preservation. Day 16.Volunteer for your local or statewide preservation organization. 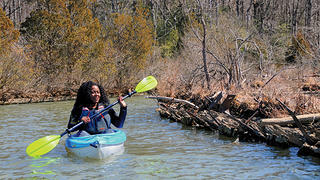 A kayaker enjoys the waters of the Ghost Fleet of the Potomac in Mallows Bay, Maryland. Day 17. Join the National Trust and help us save places. Day 18. Visit a National Park Service site near you. Day 19. Get out on the water! Canoe a canal, or explore historic waterways and lighthouses. Day 20. Take a walk around your neighborhood. Play history detective to find out more about its unique past. Day 21. Do you live in a historic building? Learn more about your house’s history! Day 22. Speak up for National Treasures and other preservation-related causes. Day 23. Keep your preservation projects green. Day 24. Teach the next generation about preservation. Day 25. Start saving places in your neighborhood. Day 26. Tour a scenic byway or explore a historic landscape. Day 27. 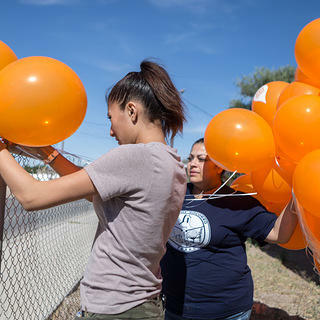 Help protect your community by identifying a National Register nominee. 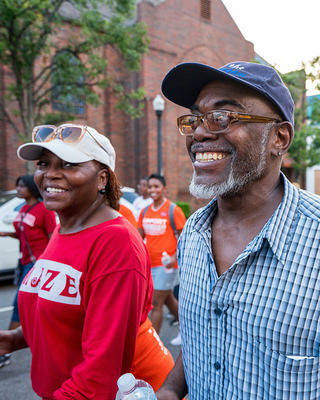 Participants march in support of creating the Birmingham Civil Rights National Monument. Day 28. Plan an event with other local preservationists. Your options are limitless, from historic bike rides and city tours to building funerals and more. Day 29. Take preservation pen pals to a whole new level—draw your favorite building and send it to a friend. Day 30. Learn more about yourself (and about historic places) with our quizzes. Day 31. Raise a glass to preservation! Discover local historic bars. 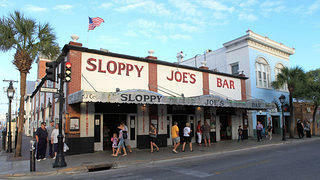 Patrons outside Sloppy Joe's Bar in Key West, Florida.